Healthy Kids Running Series (“HKRS”) announces a new national partnership with Nuventra Pharma Sciences, experts in clinical pharmacology and pharmacokinetic analysis, for 2017. 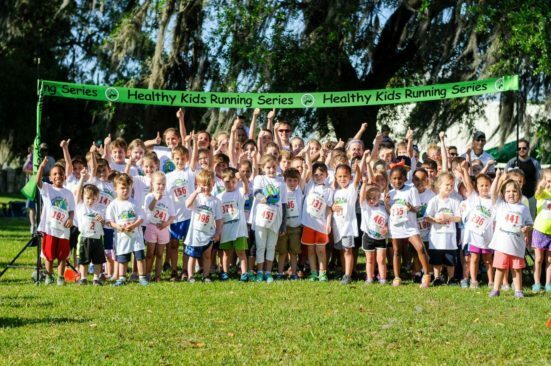 Healthy Kids Running Series’ Founder and President Jeff Long created HKRS to motivate kids to live a healthy and active lifestyle. Nuventra’s leadership and commitment to modern medicine aligns with HKRS’s mission to make our communities healthier places to live. “As a company committed to improving human health, Nuventra’s mission aligns well with that of the Healthy Kids Running Series. As part of the role of being a responsible corporate citizen, we are continually looking for opportunities to work with organizations like HKRS. We’re excited about this opportunity to support healthy living from the ground up,” says Dr. Shaw. The partnership includes Nuventra branding at all 140+ HKRS locations, as well as digital marketing and promotion. Spring of 2017 marks the 15th season of HKRS, since its inception in 2009 in West Chester, PA. Healthy Kids Running Series will be offered in over 140 locations across thirty states, the largest season to date for HKRS. Most races start the weekend of April 1-2, 2017. The Healthy Kids Running Series (“HKRS”) is a non-profit program founded in 2009 to combat increasing rates of childhood obesity through the introduction of running. HKRS is its own non-profit entity managed by the Pattison Sports Group, Philadelphia’s premier sports marketing firm specializing in Corporate Consulting, Property Representation and Event Management. For more information please visit www.HealthyKidsRunningSeries.org. Founded in 2008, Nuventra is home to the largest collection of clinical pharmacology and pharmacokinetic experts in the industry, many of whom have 15-30 years of experience. Nuventra operates a flexible business structure that attracts leading scientists and enables them to quickly & seamlessly integrate with its clients’ R&D groups. Nuventra supports its team with a robust corporate infrastructure, proven processes, innovative technology solutions, and validated SOPs.